Ada soalan mengenai Marina Waterfront Apartments? Sama ada anda melancong atau ke luar kawasan kerana kerja, Marina Waterfront Apartments merupakan pilihan penginapan hebat ketika melawat Cape Town. Keseronokan pusat bandar hanya sejauh 2 Km sahaja. Untuk pilihan bersiar-siar dan tempat daya tarikan tempatan, pelancong tidak perlu pergi jauh dari hotel kerana ianya berdekatan dengan Glasshouse Rejuvenation for Men, Akuarium Two Oceans, Pusat Maklumat Pelancongan Cape Town. Di Marina Waterfront Apartments, perkhidmatan yang cemerlang dan kemudahan yang unggul menjadikan penginapan anda tidak dapat dilupakan. Wi-Fi percuma semua bilik, simpanan bagasi, tempat letak kereta, pengangkutan lapangan terbang, bilik keluarga merupakan beberapa kemudahan yang membezakan Marina Waterfront Apartments daripada hotel-hotel lain di bandar. Hotel ini mempunyai 21 bilik yang sangat cantik, setiap bilik dilengkapi televisyen skrin rata, internet wayarles (percuma), bilik larangan merokok, penyaman udara, pemanas. Pusat kecergasan, kolam renang terbuka di hotel merupakan tempat yang ideal untuk anda relaks dan tenangkan diri selepas hari yang sibuk. Nikmati perkhidmatan yang sukar ditandingi dan lokasi benar-benar berprestij di Marina Waterfront Apartments. Harap maklum tetamu diminta untuk memaklumkan anggaran waktu kedatangan semasa membuat tempahan dan apabila tiba di Afrika Selatan, sila terus menghubungi pihak penginapan. We really loved the 2 bed apartment we were given. Spacious, both rooms with an en-suite, a kitchen including washer dryer and a huge balcony overlooking the canal. 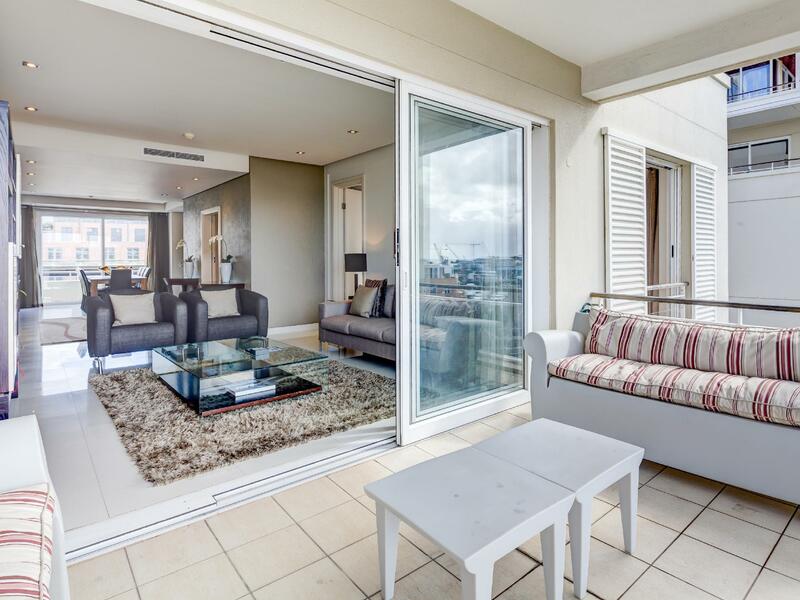 The apartment was around a 10 minute walk to the V&A waterfront as we were right at the end in the Altmore block, but if you are placed in a block closer it would be as quick as 5 mins along the lovely waterfront. A pleasant walk. The V&A is where you want to be and has everything you need. Now the part which was most confusing to us was the check in and check out. They do not have a front desk or luggage facility on site although all emails sent to me state this. Even the documents in the apartment refer to the front desk if any problems but this doesn’t exist on the site. What you have is a security box monitoring who enters and exits the apartments. They then have to contact the person you booked through. Luckily the lovely staff - Jamie and Derek allowed us to keep our suitcases longer in the room we booked. Location excellent. Welcome, introduction to accommodation, facilities and cleanliness were appalling. Value for money poor. Should have spent the same money on One and Only!!!!! Big apartment with all amenity. Just 10 minute walk to V&A. Perfectly located and safe for anyone wanting to get to the Waterfront or downtown. It took two phone calls to get a staff member on site to check us in and we were sent from one entrance to the other. Beautiful day and night views, peace and silence, perfect sunrise, perfect sunsets, fine luxury, simplicity, easy space, easy access, spacious design, impeccable service, excellent security.......what more could you want? We were upgraded that's always a plus, but besides that, the views from these apartments are amazing, mountain & marina. Extremely clean, crisp sheets & fluffy towels. The security staff were brilliant, friendly, and helpful. This is a MUST if visiting Cape Town. One word, Fantastic!!!! 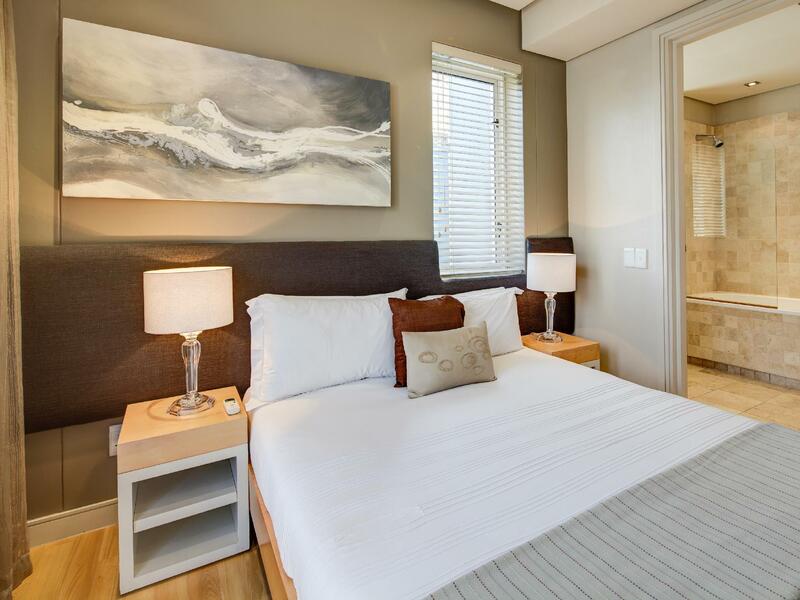 I will definitely recommend to all my friends and family, and will also make this my future accommodation whenever I visit Cape Town in future. We had a wonderful stay. The apartment was clean, linen excellent. The only downsize was the check in on arrival. That really needs to be sorted out. The location was perfect....quiet but convenient for the V&A waterfront. The quality of the apartment was excellent. Amazing value for money. We were given a complementary upgrade from a 1 bedroom executive apartment to a 2 bedroom apartment. It was huge with beautiful fixtures and fittings. The kitchen had all the modern appliances for washing and cooking. 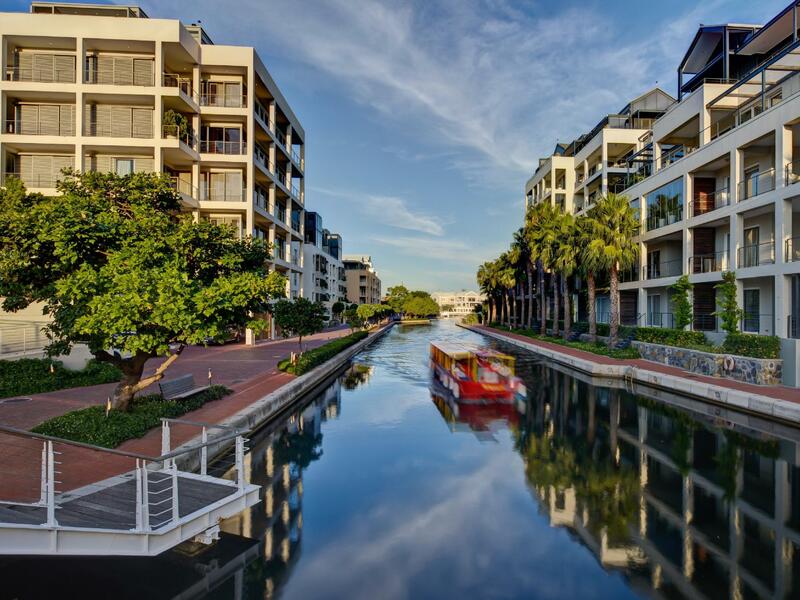 There ware 2 enormous balconies with views towards Table Mountain one way and the marina and canal the other way. 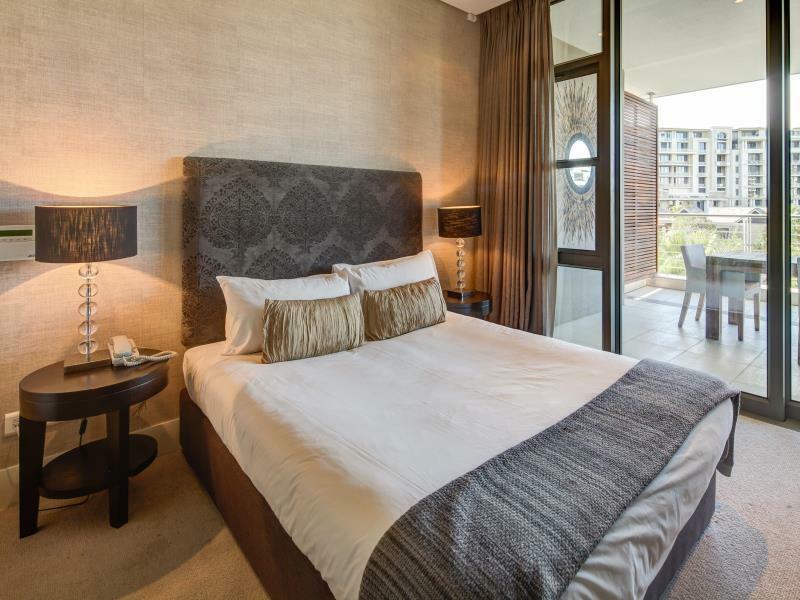 The apartment was a 10 minute walk along the attractive canal side to the V&A waterfront complex. Security was excellent and we had a designated parking space. We would certainly use these apartments again. The apartments are modern, light, spacious and in a great location 5 minutes walk to the bars and restaurants on the waterfront. We would stay again, you could easily spend a week there as it has a full kitchen and laundry etc. The complex is large and mainly residential, might be worth asking which apartment you are renting as some will have views of the canals or harbour. It took quite a while to check in as you go to the main entrance and then get driven around to another entrance to get keys and sign in etc. The complex is right next door to the One and Only Hotel which has great restaurants (Nobu was fantastic) and they can call taxis for you.